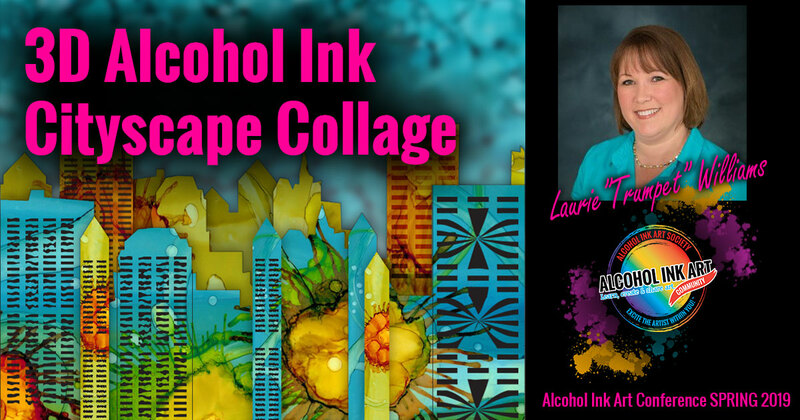 Spring 2019 marks our fourth alcohol ink art conference. 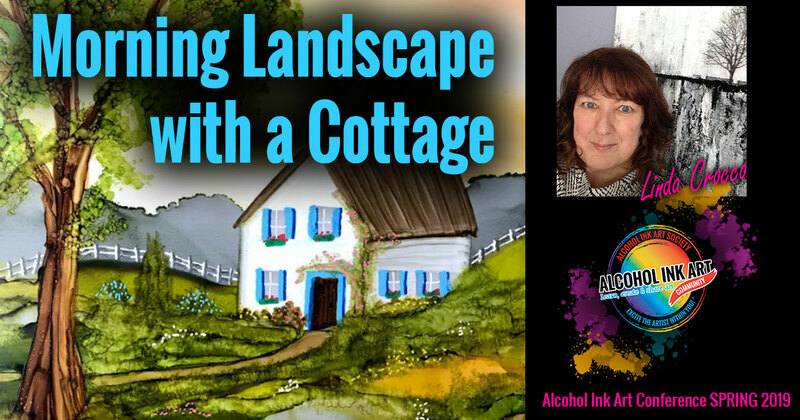 This is one of two conferences offered by the Alcohol Ink Art Community and Society. Our conferences are online virtual events, offering folks the ability to attend from the comfort of their own homes/studios, without travel expenses. Attendees do not have to be present while the event is happening. All presentations, materials lists and resources will be available here on the website AND in our Private Conference Attendee’s group! This will be a four-day event with sessions taking place each evening starting May 8 – 11, 2019. 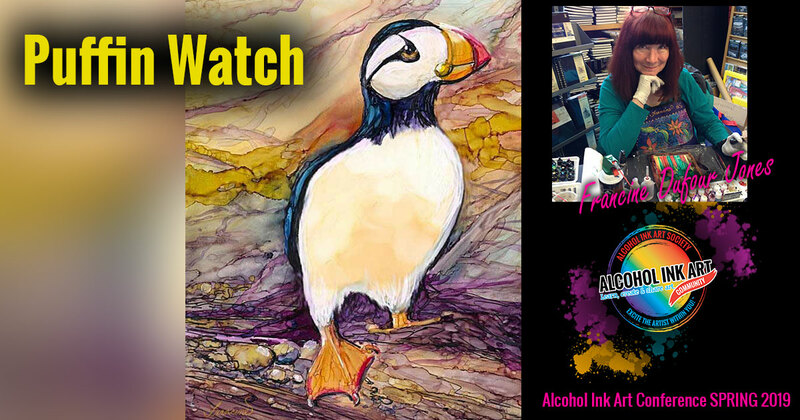 Each session will be presented by our superb line-up of alcohol ink artists and instructors and cover a wide variety of instruction and coaching pertaining to creating alcohol ink art. During each session, our presenters will be available for questions and answers in real time during their session. Additionally, for our SPRING conference, we have some exciting and fun challenges planned with some with cool prizes provided by our Sponsors!!! There will also be door prizes given randomly to some of our lucky attendees! Additionally, we will be encouraging team events and collaborations through Zoom Video Conferencing. Full access to each session’s live streamed presentation with the ability to ask questions in our private Conference Facebook group. 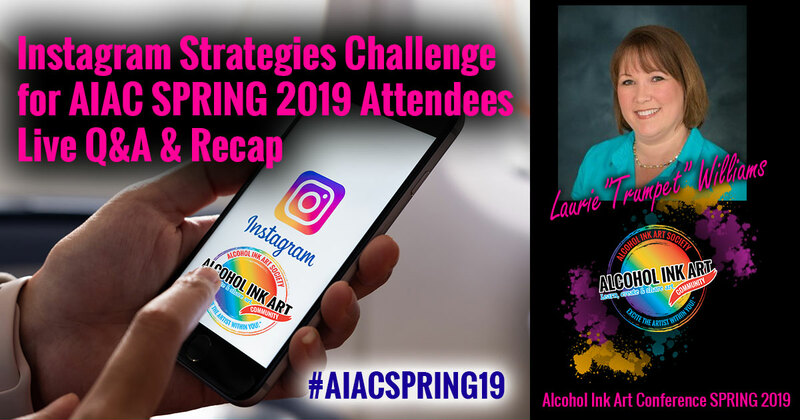 Membership to our private AIAC Spring 2019 Facebook group for extended interaction and networking with other attendees and presenters. Lifetime access to recordings and all conference materials, including downloads, materials lists, etc. Opportunity to join in Team and Group activities for fun interactivity and community bonding! Get to know your fellow attendees and possibly win some great prizes! Once you register, you will get immediate access to the private Facebook group where the live presentations and events leading up to the conference will be hosted. Conference sessions will be provided LIVE on the Facebook group and you will be able to ask the presenter questions as the session is being streamed. If you can’t be present for all the live discussions, that’s ok! You will also be able to watch all the recorded videos and access all the resources here in one location after the conference. Additionally, all of the recordings and resources are available on the private Facebook group for the conference where you can interact and engage with other attendees. You will have life-time access to all of the materials, demos and resources shared throughout the event! 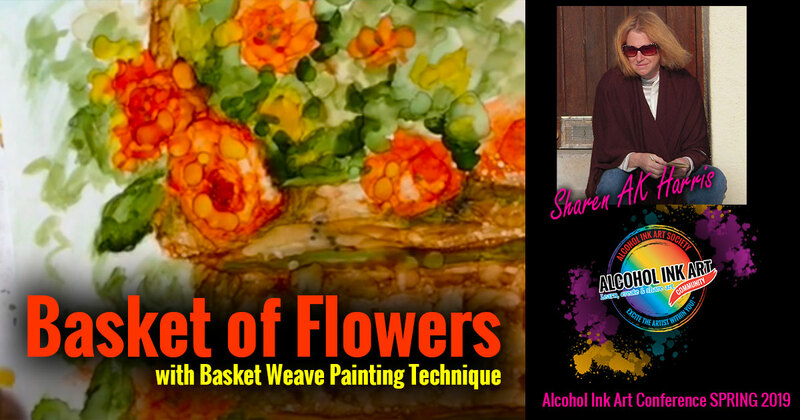 Art demonstrations and instruction are provided through LIVE video. Replays are immediately available about the replay, so that attendees can watch as many times as they like and at their leisure. These demonstrations will also be available immediately following the conference in a password-protected area for attendess of the conference. As an attendee you receive LIFETIME access to the presentations and materials. You can review presentations and materials months or even years from now! This a great option to be able to review old techniques and materials being presented! To add to the fun factor for this event, we will be giving away random door prizes and hosting conference challenge. Leading up to the conference, we will be organizing group sessions to get to know one another better. 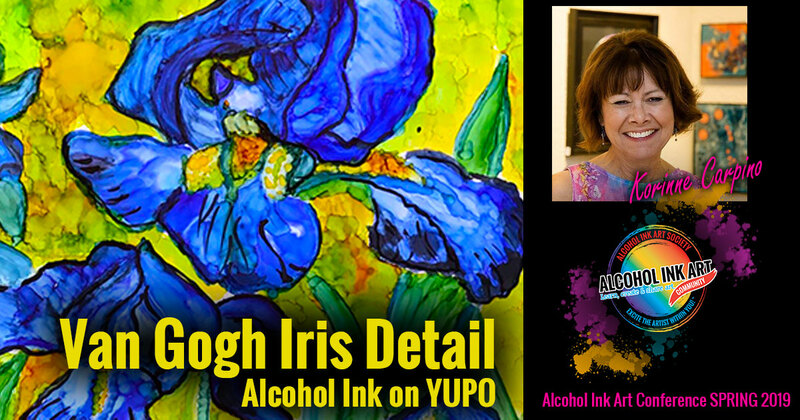 The conference will be a great way to get to know other alcohol ink artists from all over the world! 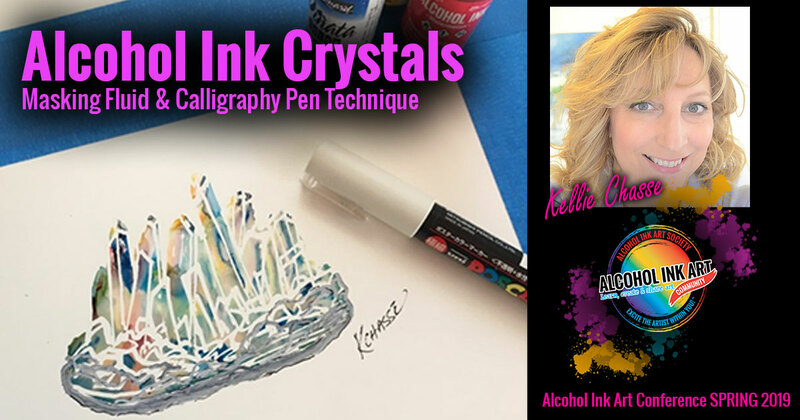 Watch and learn from these All Stars of Alcohol Ink as they open up and share their experiences, tips, tools and best practices for creating your alcohol ink art! Announcements coming soon for more presentations by our line-up of FABULOUS presenters below! 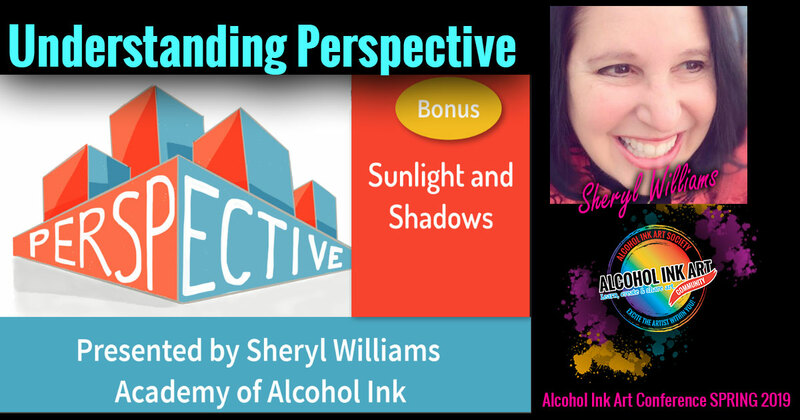 We are so excited to have some of these Superstar Instructors in Alcohol Ink present at the Spring Conference! 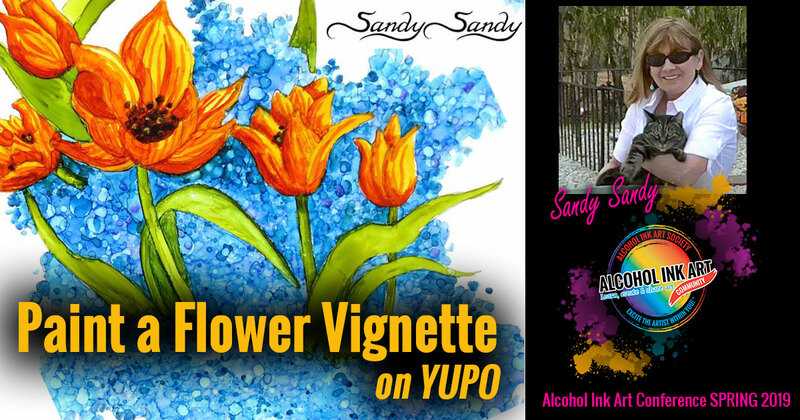 Collectively our team has many, many years of experience in art, art instruction and creativity. They are bringing their best to this conference and are ready to dazzle you with their projects and instruction! Here’s what folks that attended LIVE had to say about the conference! Registion for Existing Society Members! 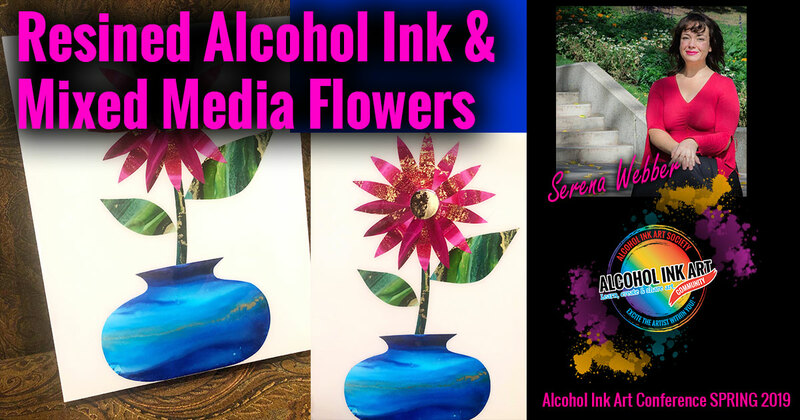 Members of the Alcohol Ink Art Society, are eligible to register for the Spring Conference at a discounted rate. Not a SOCIETY member? JOIN NOW! Even if you aren’t a current member of the Society, we would love to have you join us for the Spring Conference! You can also JOIN the SOCIETY HERE to then register at the discounted rate!